Thanks a lot to http://www.eslprintables.com/printable.asp?id=499486#thetop for the wonderful template!!!! 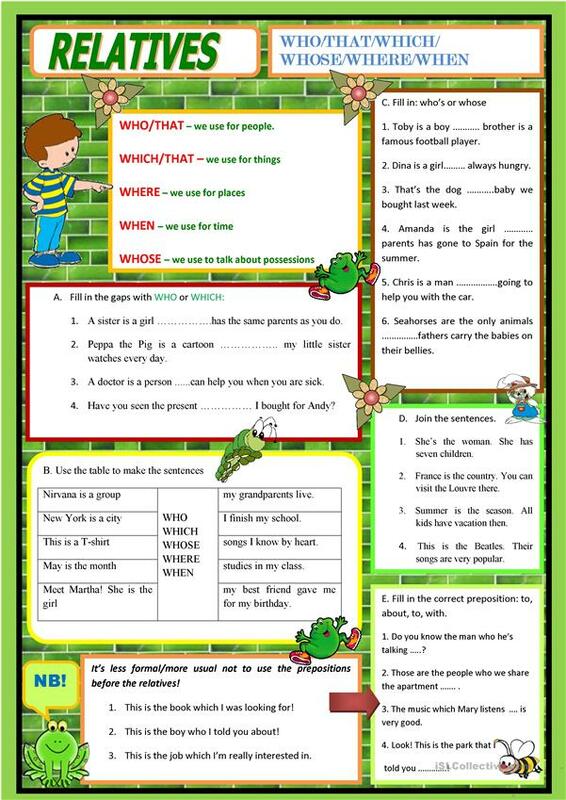 It gave me an inspiration to create a worksheet for my pre-intermediate students.There is a short rule concerning the usage of pronouns and I also decided to tell the students how to use the prepositions in relative clauses. Hope you find this worksheet useful! The above downloadable printable is recommended for high school students, elementary school students and adults at Pre-intermediate (A2) and Intermediate (B1) level. It is aimed at teaching Relative clauses in English.